Hamilton posts top scores on Forward Exam - Hamilton School District. Hamilton School District students scored well on the Wisconsin Forward Exam, topping the statewide average by 21 – 29 percentage points and outperforming most Waukesha County school districts in all subject areas. In mathematics, 72.8 percent of Hamilton students were proficient or advanced – 29 percentage points higher than the state average. Hamilton’s science score of 73.4 percent was 23.6 percentage points higher than the state average of 49.8 percent. More than 65.3 percent of Hamilton students were proficient or advanced in English language arts compared to 42.4 percent at the state level, putting Hamilton 22.9 percentage points above the average in Wisconsin. The social studies score was 70.6 percent for Hamilton and 48.8 percent statewide, topping the state average by 21.8 percentage points. 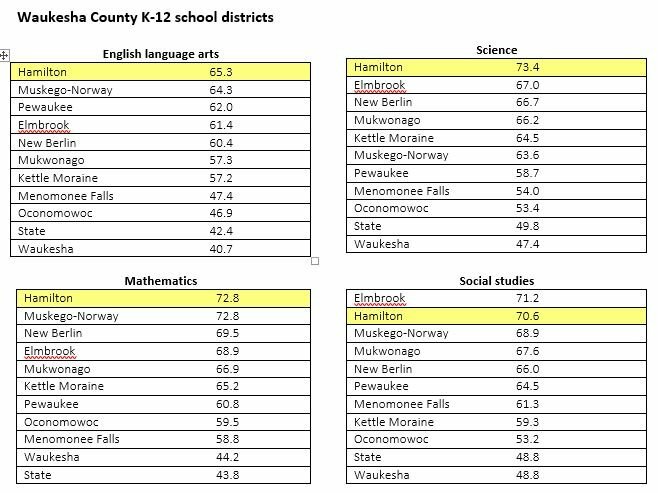 Among Waukesha County’s 10 K-12 school districts, Hamilton was the top performer in science, mathematics and English language arts. It was the second highest in social studies. Hamilton School District Superintendent Paul Mielke, Ph.D., attributed the district’s impressive achievement results to the hard work of students and staff and support of families and the community. The district has initiated programs and practices that help its high-performing schools boost the achievement of all students, according to Mielke. They include emphasis on literacy skills, research-based teaching and learning strategies and targeted, systematic interventions for students who need them. 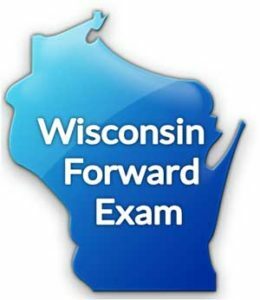 The Forward Exam tests Wisconsin students in English language arts and mathematics in grades three to eight; science in grades four and eight; and social studies in grades four, eight and 10. Educators note that the Forward Exam is one data point in a comprehensive assessment program that includes state, district and classroom assessments.